Manila, Philippines - Print and broadcast journalist Tony Calvento on Thursday revealed on his Facebook page that Deniece Cornejo, Cedric Lee and his group are still in the Philippines and now sleep in their vehicles because they can't even check in at the hotels and resorts for fear of being recognized. "What a life! One day, the life of a multimillionaire, winning and dancing in classy bars and restos and and in a flick of a finger the life of a fugitive without a bed to sleep on. How much longer can you keep on running? ", Calvento said after he received reports about Cedric's group. The National Bureau of Investigation (NBI) and the Philippine National Police (PNP) have launched recently a massive manhunt against Cedric, Deniece, Ferdinand Guerrero, Simeon Raz, Jed Fernandez and a John Doe. 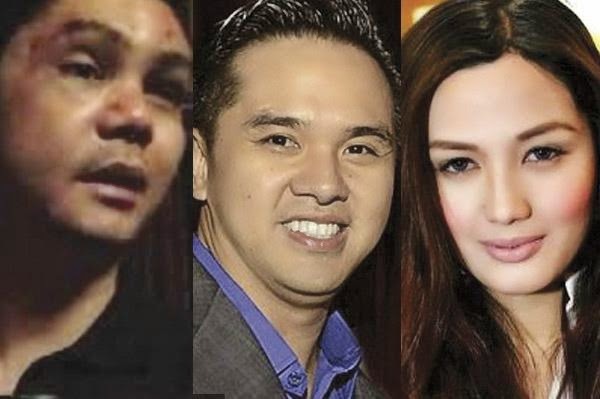 The John Doe according to netizens is JP Calma, one of the suspects in the Vhong Navarro mauling incident who is turning to be a state witness. Warrant of arrest had been issued by Judge Cortez of Taguig Regional Trial Court (RTC) Branch 271 against Cedric's group for the serious illegal detention case. Meanwhile, Bernice Lee, the sister of businessman Cedric, was already arrested by the NBI agents last April 21 in her residence for the grave coercion case with warrant of arrest initially issued against them. "It won't be long guys because the full force of our law enforcers are hot on your trail. Don't look back for you might see the barrel of their guns pointed and arresting you. ", Calvento said. Calvento also emphasized that the group are now using their money and connections to escape while the authorities are hunting them. "The real problem here was that you thought you were all above the law and that everyone had a price you can match. ", Calvento added. Calvento also challenged Atty. Howard Calleja, legal counsel of Cedric Lee's camp to surrender his clients, fight it out in court if he believed in their innocence. "The authorities are following very strong leads. How long will they continue to run? Should anything happen to your clients Atty Calleja, you are partially to blame. ", the veteran broadcaster said.